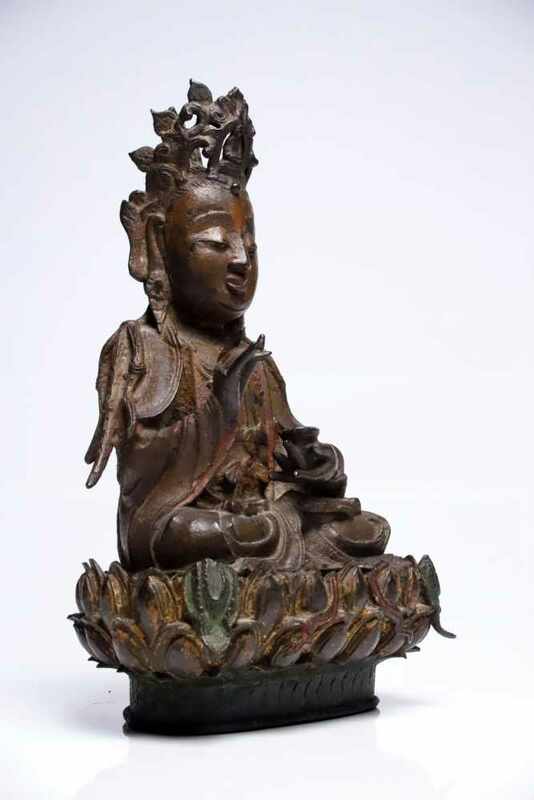 Sitting Bodhisattva Guanyin on separated double lotus base. Elegantely cast with downcast eyes and a serene expression. He is seated in lotus position. In his left hand above the knee he is holding a little cup. 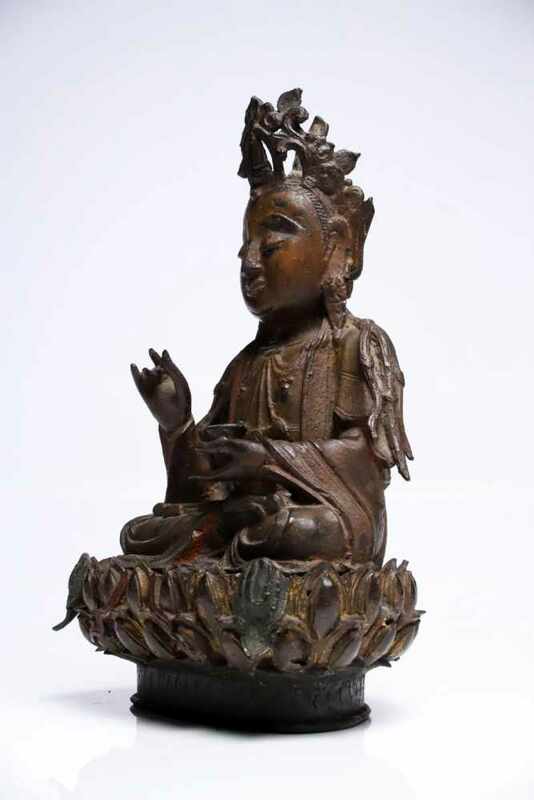 The Bodhisattva's right hand is raised with his thumb touching his index and middle finger. This is also called the harina mudra and is usually used with attributes. 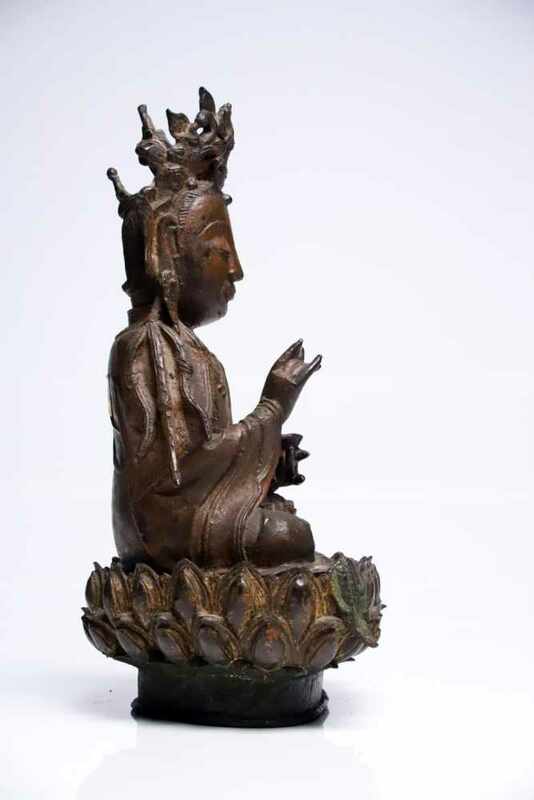 As seen on similar statues, the Guanyin might have been holding a lotus or willow stem in this hand. 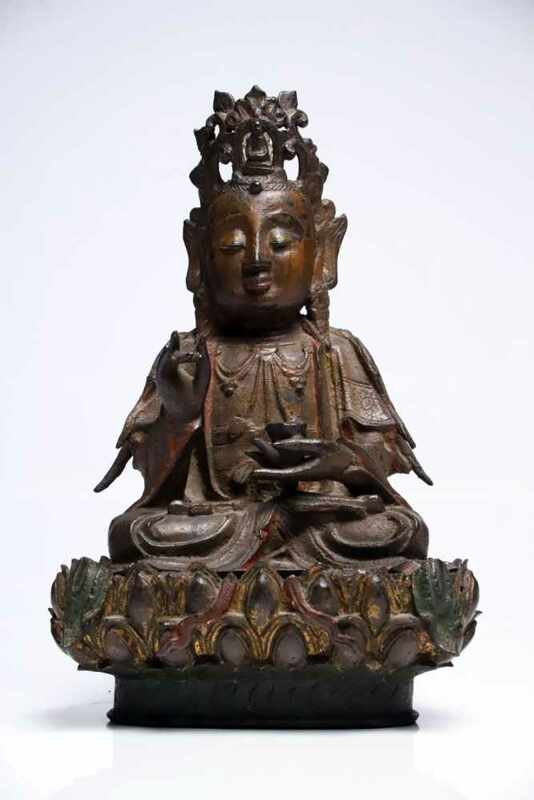 The Bodhisattva is decorated with ornate jewellery and wears layered robes with floral borders. The crown has three openwork points. 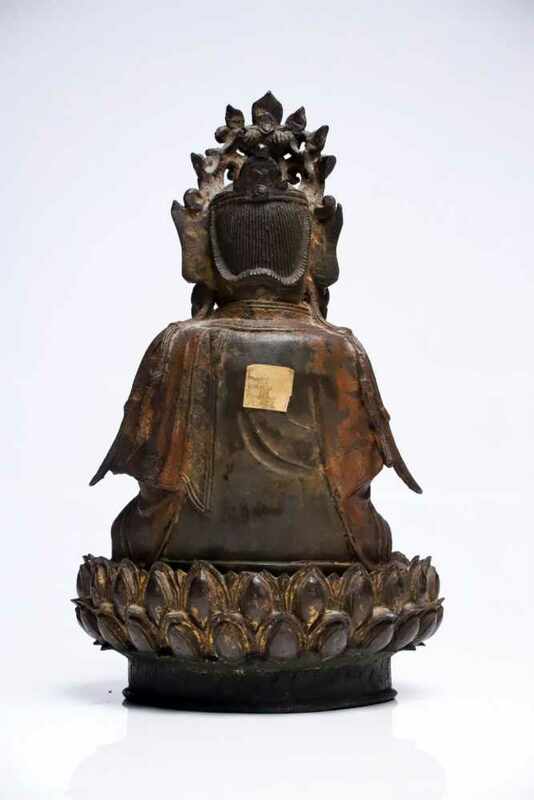 The middle one is filled with a little figure of Buddha.